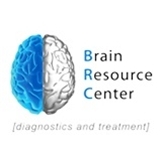 Brain Resource Center / Dr. Kamran Fallahpour (New York) - Book Appointment Online! Brain Resource Center is New York's premier brain optimization center providing personalized treatments to alleviate mental health issues, avoid medications and achieve peak cognitive performance. We are an out of network practice but will help you complete your insurance forms for reimbursement and also offer flexible scheduling so we can find a time that works for you.